Airline planners often claim that success depends on minimizing costs, but this does not make sense. No costs means no seats, no pilots and no airline. Somewhere between high cost and low cost is the right cost. Establishing a waste optimization center of excellence achieves this. Since products are waste sources it makes sense to place this new team in the product department. Hosting this team offers ownership of the profit growth caused, which can be reinvested in shiny new products. I recently helped a large airline establish such a center of excellence and I hope that by reading my ideas you can too. Passengers often need to eat and drink on a flight, all-inclusive or not. However passengers pay for catering, you need to get the right meal balance on the right flights. 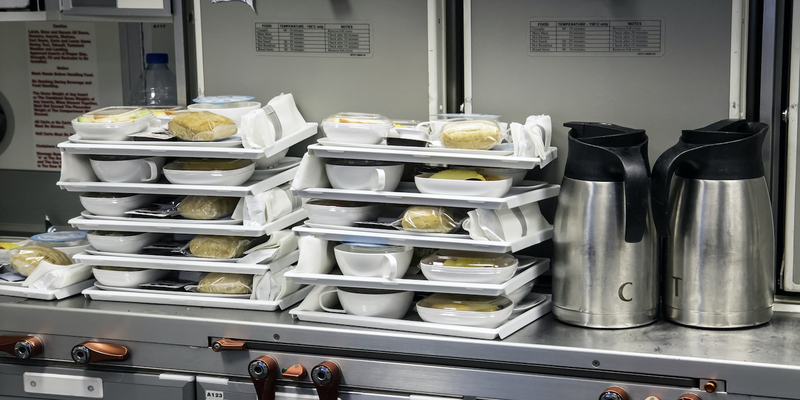 This is not simply a matter of loading one meal per passenger – the balance must be right. Not every vegetarian passenger orders a special meal and not every passenger choosing the vegetarian option will never eat meat. At the airline I helped, we found a meal load of 120% of passengers offered a 99% chance of first choice; at 110% a 90% chance of first choice and a 99% chance of second choice. Since our research showed many passengers do not mind taking a second choice but most would be unhappy about a third, we considered that 110% load was the right level of waste. Sometimes it is worthwhile cleaning and re-using rotable equipment rather than using disposable items, even in economy. And in premium cabins expensive equipment cannot be thrown away after one use. For example, a medium thread-count hot towel can be re-used about 50 times before it has degraded significantly. More expensive items can normally be used more times, offsetting the cost, so you should think carefully about the number of re-uses an equipment item has and the right amount of waste when in procurement. The airline I helped with cost optimization is now enjoying millions of dollars in fuel savings due to carrying less water. A schedule change had swapped large aircraft onto short flights between long sectors, but nobody told the water loaders, who continued to fill the tanks to serve 335 passengers on a 14-hour flight, when the aircraft was only carrying 100 passengers for one hour. Reducing the water load to 20% saved hundreds of thousands of dollars and the tanks never ran dry. They were sending large freighters with two souls onboard and large water tanks filled to the brim, and cutting the water load on these flights saved millions of dollars. I also looked at cleaning. It takes a lot of fuel to ferry around food debris, old magazines, grime and scale. We calculated that giving the aircraft a really good spring clean once every quarter or two would pay for itself.